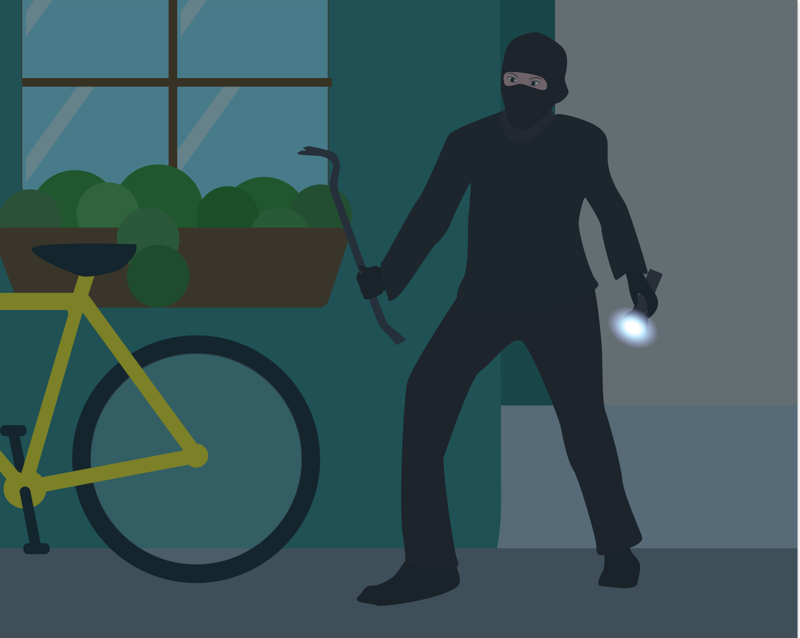 Another way thieves gain access to your garage is through garage windows. Those of us that have windows in our garages may never stop and think about a thief actually breaking one or finding another way to open the window to get inside. However, if you should have windows in your garage it is suggested that you not only keep them locked at all times but also frost them. Yes, frosting your garage windows helps to prevent thieves from seeing into your garage and the valuabled that you may have in there. If a thief can not see what there is to offer they are more likely to pass up the risk of breakingbin to nothing of value or nothing really at all. You can also prevent breakin’s through your garage by installing an alarm and/or montion sensing lights. An alaram alerts you once a thief tries to gain access to the garage so they will genarlly never make it farther than that thus never getting inside your actual home. Montion sensor lights also aid in doing the same. Should a theif be poking around the outside of your garage trying to find a way inside motion sesning lights will literally shine some light on the situation. Instead of being concealed in the dark they are now exposed and will most likely leave your property before they get themselves caught!